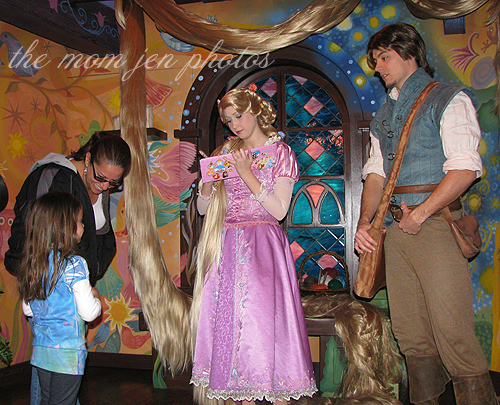 K needed to meet Rapunzel. 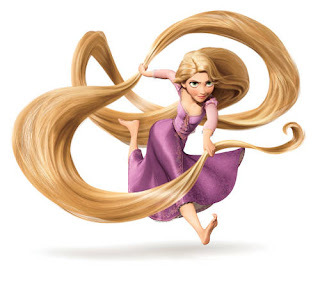 Her birthday was of the "Tangled" theme. Having the t-shirt alone won't do. We will get the DVD. She knows all the words to the soundtrack and sings it her sleep. But, we need to MEET her. With a bajillion other fans. The wait was a painful 90 minutes. 60 minutes just to see the clock strike 12 noon. Then "30 minutes from this spot" in line. And patiently pleading (by me) to stop the crying and whining. Then there were the small $1.79/each bananas and the off-brand chips that no one would eat. Plus the 90 minutes wait time at the Princess Faire only to leave 30 minutes in without seeing anyone but other people in line. Then a $30 doll I bought to chase away the tears. "I don't want Flynn in the picture." "Mommy please stand next to me." 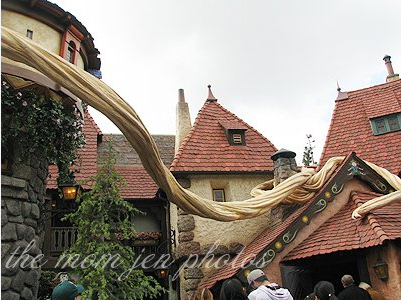 We abandoned the Princess Faire too because of long lines. 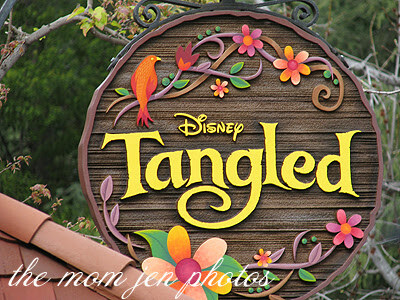 Luckily we made it to the Fairy part were Tinker Bell lives right after it opened and only waited 10-15 minutes. 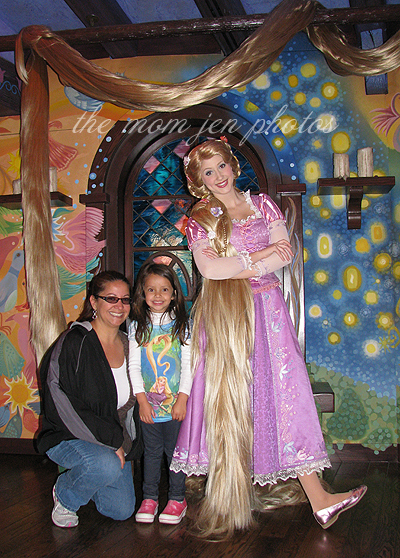 It's official...no body is allowed to tell my kids they can actually meet the princesses anywhere. I just don't think I could do it (and I know full well that I will totally melt when I see them meeting their princess of choice). great post cant wait to rake my daughter! !